The Kurdish Democratic Progressive Party in Syria held an expanded meeting yesterday in the town of Girke Lege in order to discuss the recent developments in the region. Ahmed Suleiman of the Central Committee, pointed out the role of the Kurdish people in the Syrian revolution, and condemned the reaction of some of the opposition parties which are ignoring the Kurdish cause. Suleiman stressed the role of the Supreme Kurdish Council in representing the Kurdish will and that it should play an active role in voicing the Kurdish cause in the Syrian opposition. He also praised the role of the military committee, supervised by the Supreme Kurdish Council and called on all parties to join them to protect western Kurdistan. continue between armed groups and the regular army in the area of tel Hamis. According to reports, the Syrian regular army has since yesterday bombed many many locations. The People Protection Units in the Jenderes area announced the formation of a battalion of women’s protection units in western Kurdistan. The unit was named ” the Rukan battalation” to honor the name of Rukan who sacrified her life for the Kurdish issue. Axin Nujin, the commander of the battalion, gave a speech during the opening ceremony, she stressed the importance for women to take part in defending their land, and militarily as well as socially She added that more women’s protection units would be declared in the upcoming days. An delegation of the Dilomatic relations Committee met representatives from Arab and Assyrian tribes. The meeting discussed the possibility of forming a civil council for the town to run the affairs of the people. The Supreme Kurdish Council announced today the signing of an agreement in Tirbespye city. The Supreme Kurdish Council, the Arab National Authorities, together with Representatives of Yezidiz and Assyrians, signed the agreement. The agreement recognizes the establishment of a civil council in the city, representing all of its components. The Relief Committee of the Supreme Kurdish Council distributed yesterday the second batch of aid sent from the people of southern Kurdistan. The Relief Committee distributed aid to fourteen centers in the city center, which in turn distributed it to the citizenz. Three civilians were killed and dozens more were wounded in the town of Tilhasel, after violent clashes erupted between the regular army and armed groups.. According to local sources, as a result from the shelling between the two parties, the wife of the towns mayor and his 15 year old daughter Fatima Kalou, together with a civilian called Mohammed Kalou were killed. According to witnesses, militants of the Jabhat Alnasra took the spoils of the military convoy, which had been sent by the regime’s forces. This forces them to retreat from the area. An establishment of a civil council for he city of Serê Kanîyê was announced. Both Khaled Elhur and Mari Hasan will chair the council, and it consists of 20 representatives from all the components of the city. The formation of the local council is a result from the agreement, which took place at a meeting between the Kurdish Supreme National Commission for Protecting Civil Peace and the Revolution, headed by Michel Kilo. According to Dr Joan Mustafa, the spokesman of the civil Council of the City, the council consists of twenty people and under its control there are many specialized committees including areas such as judicial, service, agricultural, media and relief. The Council includes all components and segments of the city. On the other hand Joan Mustafa described Serê Kanîyê as a plagued city and called all international and humanitarian organizations for help and to participate in the reconstruction. PPU and the villagers of Tel Merouf and Tel hamis put barriers on the outskirts of their borders, anticipating attacks by armed groups . Moreover, witnesses from the village of Qalat Alhadi in Western Kurdstan reported that militants from Jabhat alnusra carrying explosive devices roam between villages and they are demanding villagers to surrender their weapons or join them. Witnesses confirmed that they have seen ” Egyptians and Afghans with long beards ” among them. The official of Jabhat al Nusra in Qalaat Alhady village is thought to be Mohamed Al-Mady, who is accompanied by dozens of cars loaded with dochka weapons. Teachers in Serê Kanîyê organized a sit down protest in the neighborhood of Al Hawwarna in Serê Kanîyê to condemn the decision of the Syrian regime, to ban teaching kurdish in schools. The protest coincided with the celebration of the International day for Mother Languages. The relief Committee of the Red Kurdish Crescent has distributed a batch of basic materials (food and fuel) to the citizens of Serê Kanîyê. The aid even included basic goods necessary for infant care. The distribution covered Alkhrapat, Zaradasht and the Albaladi neighborhoods. After liberating the town of Cilaxa, the PPU handed the security affairs to the Asayish, which quickly turned the old government building to their center. The leader of the people protection units PPU, Bilal Rojava, explained that they have handed the center to the Asayish and added : after forming the civil councils and other service committees in the town, the PPU will withdraw from the town and leave it to the care of civil institutions so that their citizens will be able to run their affairs themselves. Hamza Mohammed representative of the Kurdish Left Party in the Kobani said that his party would not in any case accept military forces which does operate under the directives of the Supreme Kurdish Council..
Mohammed described the military committee of the Supreme Kurdish Council as the only guarantee for the Kurdish people to maintain their security and national rights in western Kurdistan. Qamishlo – The National Coordination Assembly in Syria condemned in a statement the extremist conduct of the armed goups in Serê Kaniyê. The statement explained: “our people in Serê Kaniyê are exposed to an armed campaign coming from both outside the border as well as from the inside. These attacks have intensified since the sixteenth of this month with the goal of raising the sectarian problems between the components of the Syrian fabric, and also to stir unrest and chaos in the region. The statement called on the Syrian people to reject these terrorist groups and called on the international community, which have turned a blind eye to evidence of direct Turkish backing and involvement, to put pressure on the Turkish government to stop its support for the extremist groups. The Kurdish Left Party in Syria assumed that the new attacks on Serê Kaniyê reflects the insistence of the Turkish state to implement its repressive on the Kurdish areas. The party called upon the Kurdish people to be vigilant and to prepare for the risks. A statement issued recently by the party said: “once again the invaders renew their hideous attacks on the city of Serê Kaniyê, moreover they are using heavy weapons such as tanks, T 72 model, in a desperate attempt to control the city, and expand their dominance over the rest of the Kurdish areas. Saleh Geddo the secretary of the Kurdish left Party in Syria condemned what he called the “aggressive attacks on the city of Serê Kaniyê in Syria” and he appreciated highly the resistance of the Kurdish protection units against the armed groups. Serê Kaniyê: A delegation of the Left Kurdish Party, wing of “Mohamed Moussa” visited the center of the peoples protection units in the city of Serê Kaniyê. The delegation informed the responsible persons in the protection units that their armed young fighters are ready to join the YPG and fight side by side with them against the armed groups who are more frequently attacking civilians and vandalizing the city. It is worth to mention that a number of the armed men and young men from the Kurdish left party and other Arabs, Chichanians and Kurds have effectively joined the protection units. Yekiti Kurdistan Party: the role of the Peoples Protection Units is revolutionary and we appreciate it. The press office of Yekiti Kurdistan Party issued a statement and addressed the public opinion and asserted that the ultimate goal of the armed groups who entered Serê Kaniyê is to evacuate the city and displace its people in the aim of distorting the image of the free Army and the Syrian Revolution. The statement said that the resistance of the People Protection Units and the other revolutionary battalions is highly valued and they should be supported and be cooperated with as they are playing a national and patriotic role. Amouda – The Movement of 12th March announced in a statement issued recently their supporting and backing of the Peoples Protection Units. The movement called all peoples and parties to stand together along with the Peoples Protection Units, and to support them materially and morally to build a good future for the Kurdish nation. movement : Our people has no choice, but to fight for their honor and existence. Qamishlo – The Democratic movement issued a statement, calling on all armed Kurdish factions as well as political parties and groups to unite, and stand together in the same trench in order to defend the Kurdish presence and Kurdish areas. 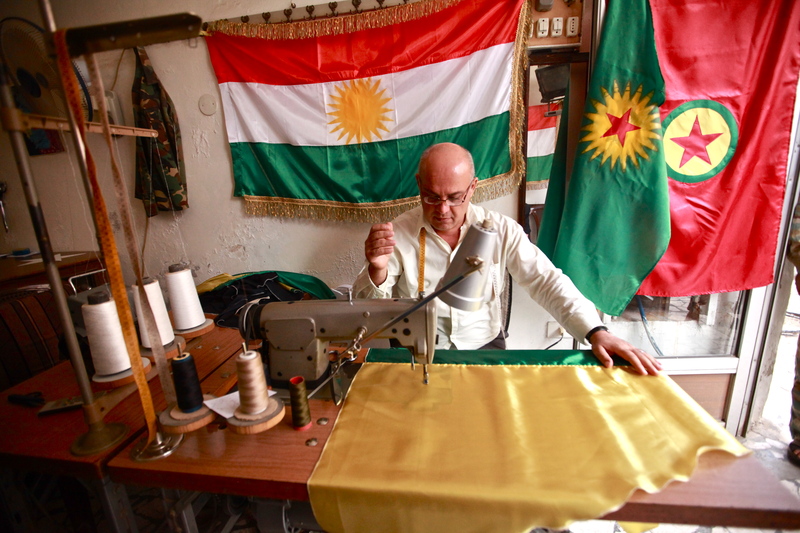 A tailor in Afrin, northern Syria, makes flags in the Kurdish national colours. Earlier this month I made a short trip inside Syria to visit Afrin, a Kurdish town northwest of Aleppo. Since the summer Afrin and other Kurdish majority towns and cities along the Turkish border have been under the control of the PYD, a Syrian affiliate of the Kurdistan Workers Party, or PKK, the Turkish-Kurdish rebel group. My visit was closely supervised and planned by PYD minders, but it was nonetheless an interesting insight into how southeastern Turkey/Kurdistan might run under PKK auspices. The PYD had set about building Kurdish national consciousness in Afrin with gusto. They had set up 20 centres that were teaching people to read and write in Kurdish. 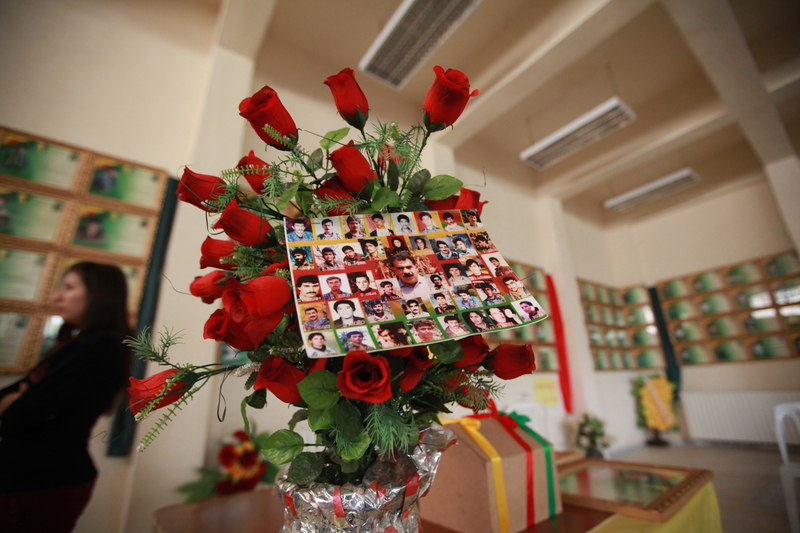 The old headquarters of the Baath Party were transformed as a martyrs’ memorial centre, with plaques for the 400-odd local Kurds who had died for the dream of nationhood. The PYD and the PKK have been quite coy about their links, but in Afrin the connections were pretty evident. 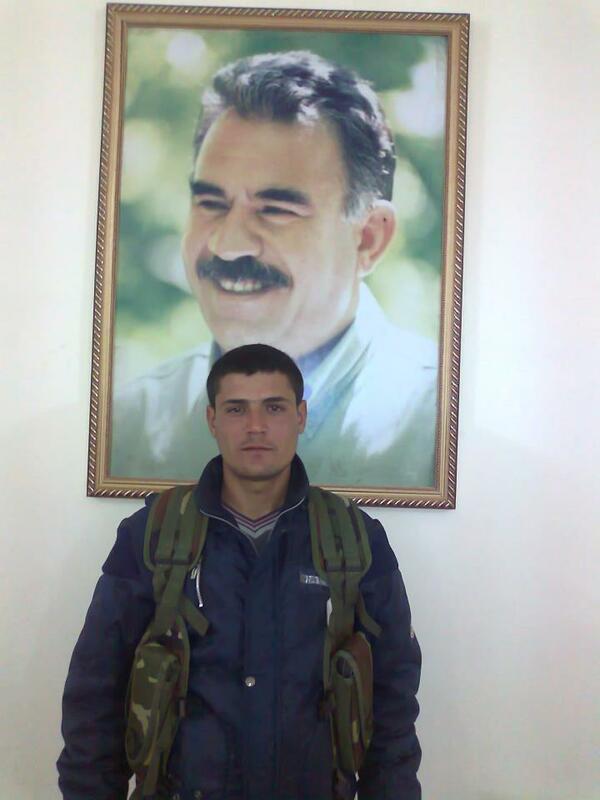 Pictures of Abdullah Ocalan decorated every government office I visited. In the martyrs’ memorial centre, the majority of the dead had lost their lives not in Syria, but in Turkey, fighting with the PKK. Also, the teachers I met who were giving local people courses in written Kurdish were both Turkish Kurds. 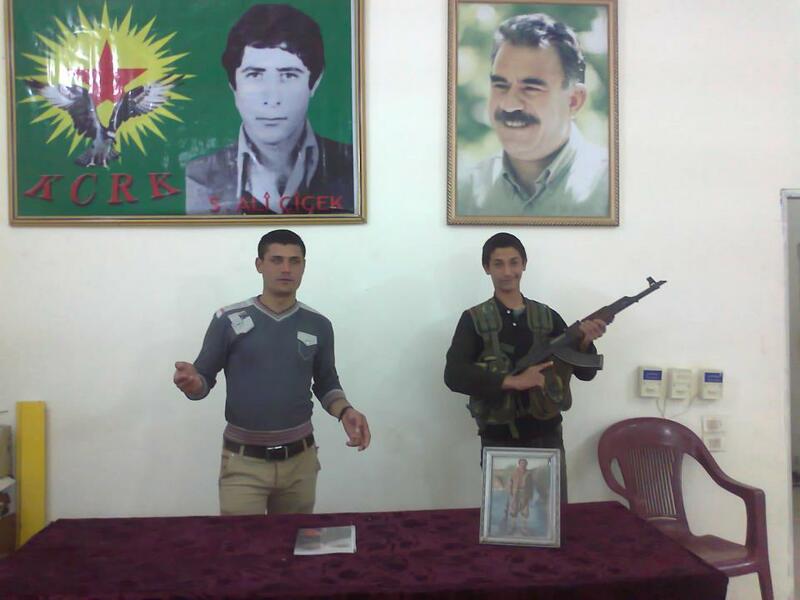 The martyr’s memorial centre at Afrin, a collage of pictures has PKK leader Abdullah Ocalan at its centre. After decades of harsh repression, people here are obviously happy to fly their own national colours. According to people from Afrin I spoke to later, however, freedom under the PYD isn’t all it seems. One local told me that the rebels had become frustrated that more people were flying the Iraqi-Kurdish flag more than the various PKK flags, and began ordering them to take them down (in the picture above, the northern Iraq flag is the one with the stripes and sun). They also said the PYD has behaved threateningly towards anyone vocally or actively supporting the uprising against Assad rule. In fact, the PYD so far remains determined to sit on the fence in the Syrian civil war, a stance that is likely to leave it with few friends in the long run. The aim is no doubt to achieve something similar to Iraqi Kurdistan during the second Gulf War, but you only need to look at a map of Syria to see how fragmented the Kurdish territory there is. Afrin, for example, is a Kurdish enclave bounded on two sides by Turkey, and on the other two sides by Arab-populated regions. Ultimately, the PYD’s national consciousness-building efforts seem a bit feverish and premature in the middle of a civil war. Many people I interviewed believe that at some point fighting will erupt between the PYD and the Free Syrian Army, or else between the PYD and Turkey. With a customer waiting, Khalil, a 50-year-old tailor, fixes a bright red star on to a green and yellow background. “In the past it was impossible to do this,” he says, as he sews together a flag displaying the national colours of Kurdistan. In recent weeks, the tailors in Afrin have been busy. The Kurdish-populated town in northwest Syria, a pocket of calm in the brutal civil war, is festooned with these flags. For Syria’s two million Kurds, the country’s most harshly oppressed minority, the uprising has spurred an outpouring of nationalist feeling and dreams of self-rule. Government forces all but abandoned Afrin and other Kurdish regions early in the summer to divert men to battles in Damascus and Aleppo. 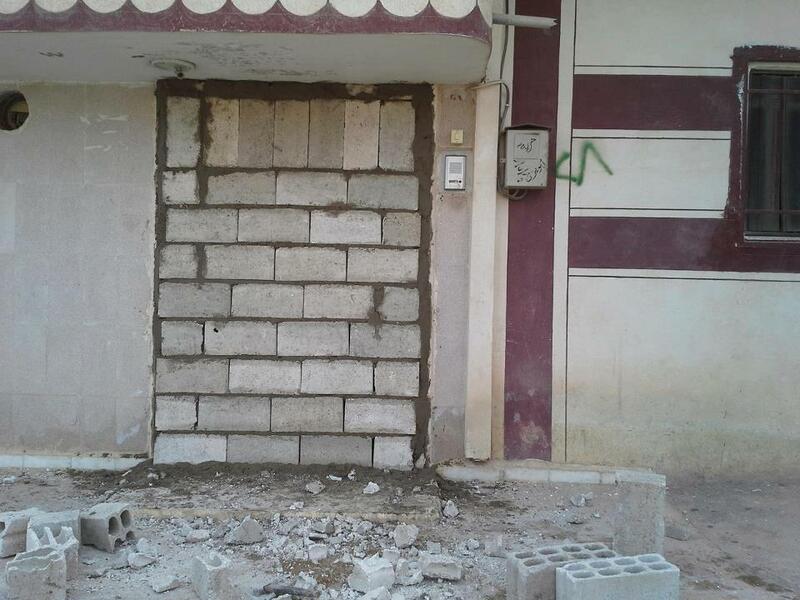 A month ago, Kurdish guerrillas drove out the last agents of the regime and assumed complete control of the town. “This makes people feel they are free,” Khalil says of the flag. “They feel they have dignity and can express their own identity.” Beneath the elation, however, there is tension and the threat of an open conflict among the Kurdish factions and the Free Syrian Army (FSA), the main rebel grouping fighting the regime of President Assad. The Democratic Union Party (PYD), the Kurdish militia controlling Afrin, is maintaining neutrality in Syria’s civil war, a position that other rebels claim amounts to collaboration with the regime. In addition, the presence of the Kurdish militants and their close ties to Kurdish rebels fighting in Turkey have caused unease in Ankara. When The Times passed through the rebel checkpoint that marks the boundary of Kurdish-run Afrin, signs of Syria’s 19-month-old uprising vanished. The preceding miles of rebel-held territory had been littered with burnt-out tanks and shattered buildings — evidence of the FSA’s fight for every inch of land that it controls. The FSA has agreed, however, not to enter the Kurdish regions, which remain untouched by the fighting. “We don’t want them here because the regime will bomb us and we don’t want Kurds to die,” said Mohammad Jernas, of Afrin’s new governing council. In Afrin, accompanied by a PYD minder, The Times was shown a cultural centre and language school set up by the party, as well as a memorial centre for Kurdish guerrillas and activists who have died either in combat in Turkey or in prison in Syria. “We are creating all the institutions of a civil, democratic society,” Mr Jernas said. Turkey has threatened to strike against the Kurdish militants and has accused the Assad regime of arming them to destabilise Turkey. Last month, after a Syrian mortar strike, the Turkish parliament authorised cross-border raids into Syria. The Kurds, who number about 30 million throughout the region, have long faced persecution in the four countries where they form minorities: Turkey, Iran, Iraq and Syria. While a tense peace reigns, many are embracing Kurdish cultural markers long suppressed during decades of the Assad family’s Baathist rule. Centres have opened across the district offering previously banned Kurdish reading and writing courses.